Welcome to Johnson's Tax Service, LLC! Let us take the worry, confusion and frustration out of income tax time. We can save you money! 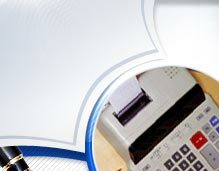 We are a full service tax preparation firm located in Rising Sun, MD. For more than 28 years, we have been providing Federal and State income tax preparation and planning services to a wide range of clients, including individuals and small businesses, in Cecil County, Delaware, Pennsylania, and throughout the greater Rising Sun area. We have developed a reputation for professional excellence and value through the high quality services we perform for our clients.